Why is Auto Mechanics a Good Career? - Information in 2019! For a significant share of the population, a career in auto mechanics is something that they have had in mind ever since they were children. There are tons of good memories associated with watching relatives work on vehicles and many children grow up with a dream of getting under the hood. Other people develop an interest in cars once they are old enough to drive and this interest evolves into a career. There are several factors as to why one would decide to venture into auto mechanics, including but not limited to an interest in vehicles and the ability to be hands-on. What are the advantages to being an auto-mechanic? With some of the careers, people are never sure of when they will land another contract, and they live in situations of uncertainty. 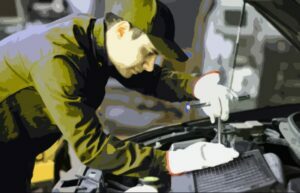 However, when it comes to auto-mechanics, there is no such thing as a seasonal job as there is a constant flow of work. You see, the economy may affect how many cars get bought per annum, but it will not affect how many vehicles require maintenance and repair services. Changes that affect other businesses in the economy seldom affect auto-mechanics, and when they do, it is at minimal levels. The auto-mechanic industry is gaining traction worldwide, and as such, the demand for auto-mechanics will be even higher in the future. This increase in demand means that if you do decide to pursue a career in auto-mechanics, you can look forward to guaranteed employment over the years to come. With each profession comes a set of tools necessary for the efficient carrying out of work. As an auto mechanic, you will slowly increase your collection over the years starting off at Mechanic College where you will require some equipment to get you going. As a hands-on person, this collection will put you in a position where you can regularly practice and get good at the trade. If you do decide to go freelancing, your tool collection will come in handy. Nothing gives a person a more significant sense of fulfillment in their work life as compared to independence in the workplace. 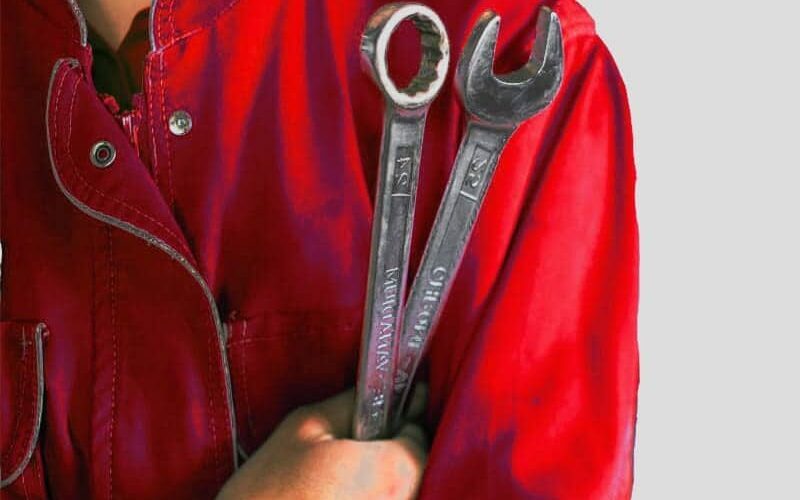 The nature of auto-mechanics is independent, and as such, you will learn how to rely on yourself when it comes to providing repair and maintenance services. Though garages often employ many auto-mechanics at a go, the employers require that the employees be able to diagnose and fix problems without a need for intervention from the top. Thanks to this nature, you adapt to being self-reliant, a skill that comes in handy when you need to fix your car and in this way, you end up saving a lot of money. As you start off your career as an auto mechanic or an automotive service advisor, you get to gain a lot of information along the way. After a while, people look to you as an expert on cars. You see, having worked on problems regarding a given car model for a considerable amount of time, you get to be in a position to diagnose problems at a fast pace. Most of the population relies on their vehicles for a variety of reasons and word will soon spread of your skills, thus creating a demand for your services over time. You can also save your loved ones a lot of money on repairs by giving them advice as well as occasionally getting under the hood to help them out. You have an option to gain employment or go venture out on your own. This decision often depends on your expertise and willingness to take risks. For employed auto-mechanics, the salary ranges at about $18 to $19 an hour, which brings the total annual income to an estimated average of $38,470. Your earnings depend on your skills and as such you can end up taking home as much as $60,000 home each year. As an auto mechanic working for an employer, you get the chance to earn commissions based on your work each week. Over time, you get to be quick at the completion of tasks, and you could take home a lot of money as your skills develop. As an auto mechanic, you will be in danger of cuts and bruises as you work on vehicles and many insurance companies offer plans to help you out with such medical costs. If you are working for a dealership, you are likely to land yourself a policy with comprehensive benefits which would include retirement and health insurance. Some dealerships now offer benefits such as paid leave and tool reimbursements, thus creating a friendly working environment for their employees. Some employers provide a uniform for safety purposes, and they cover costs to that effect. While working under a dealership, you can get access to the facilities on an unofficial basis, allowing you to fix your car during your free time as well as practice on vehicles. In addition to this benefit, you can get car parts and access to equipment for low or no costs. As an auto mechanic, you will be in a position to work on your vehicles during your free time which will enable you to save money. You can also buy old cars and work on them to sell them at a profit. The possibilities are endless. When starting out in auto-mechanics, you will lack the expertise required to quickly and correctly diagnose cars, and because of this, it is best to work in a dealership for the first few years. The period you spend working under someone will equip you with the behavioral as well as technical skills required to handle clients who come your way once you open a shop. There are not many people who can attest to stability in their careers but auto-mechanics can. With the changing times in the economy, people are now taking to fixing their cars as opposed to buying new vehicles. This trend continues to provide numerous opportunities to auto-mechanics. These and many more are the reasons why auto-mechanics is an excellent career that continues to employ thousands of people. By getting into Mechanical College, you will put yourself in a position where you have an adequate amount of knowledge about cars before starting a career, and many employers will respond positively to this attribute.